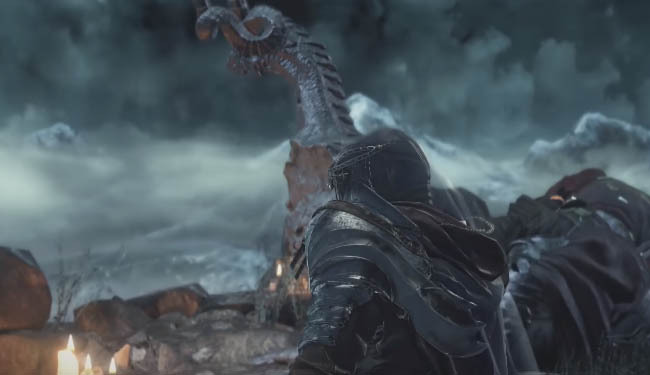 There are eight Covenants in Dark Souls 3 and players can pledge allegiance to any of them so long as you can find them first. In this guide I'll show you exactly where to find each of the Covenants along with a short guide showing you how to join each of them. 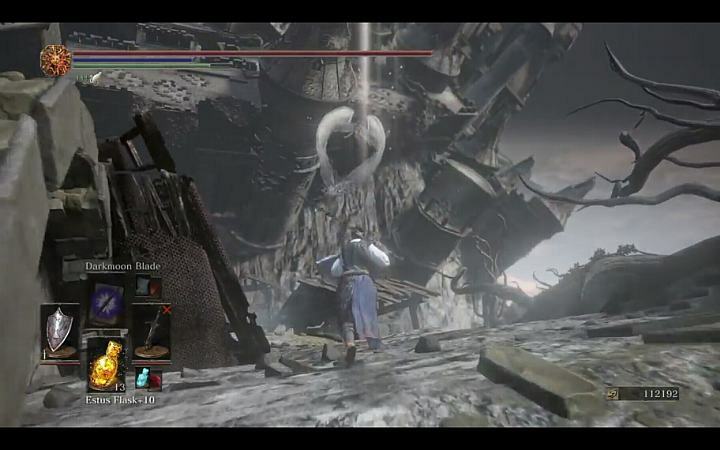 Like in DS2, each of the Covenants in this game offer different benefits for the various game modes. For example, a particular Covenant will help you more in PvE whilst another might be perfect for PvP invasions. Players can rank up with Covenants by performing certain tasks. For example with the Warriors of Sunlight if players are summoned and complete their task (e.g. kill boss or complete area) then a Sunlight Medal is awarded. Turning this into the Covenant will increase your rank which in turn offers rewards. Covenants Locations - Part 2 (coming soon). Starting from the Undead Settlement bonfire head up the path and into the building on the left. Go down to the lower level and then outside. Head towards the burning tree, veer right and drop down then go through the stone archway. Head into the building on the right, veer right and drop down through the hole in the floor. Pick up the glowing item and you will earn the Warriors of Sunlight trophy/achievement and you have now joined the Covenant. Now that you have the Covenant item you need to find the Sunlight Altar so you can trade in Sunlight Medals for rank. You earn medals by defeating bosses while in this covenant. 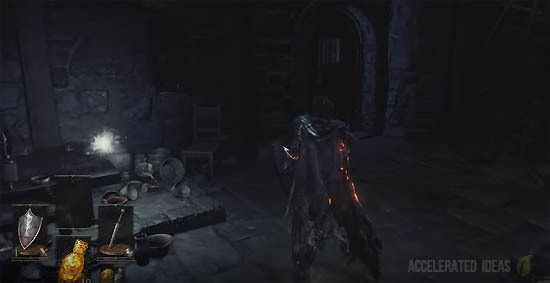 To find the Sunlight Altar start from the Dragonslayer Armour bonfire in Lothric Castle and turn 180 degrees and backtrack. Follow the straight route, head through the archway and down the stairs. Veer right and round the side of the building. Now climb the ladder up and turn right at the top to cross the rooftops. You should see several knights sitting on the rooftop outside another entrance. Go into the building through the window and use the ladder or drop down to the lower level and follow the route outside. Cross the bridge with many burning flames and archways. 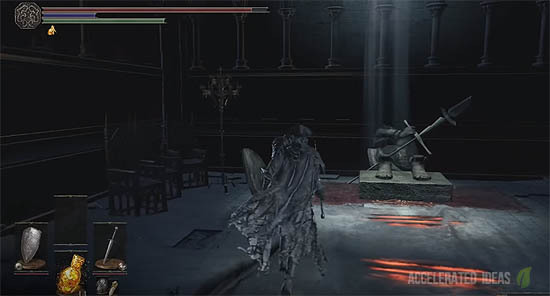 There is a knight blocking the entrance at the end - kill him and enter the room. On your left there will be a half statue, with a hand holding a sword and two feet without any legs. Now use your gesture to bow down and trade in your medals to rank up. Rank 1: Turn in 10 Sunlight Medals for the Sacred Oath reward. Rank 2: Turn in 30 Sunlight Medals for the Great Lightning Spear reward. This Covenant is perfect if you require extra protection from invaders. Joining this group will provide Blue Sentinels to your world if you are invaded. 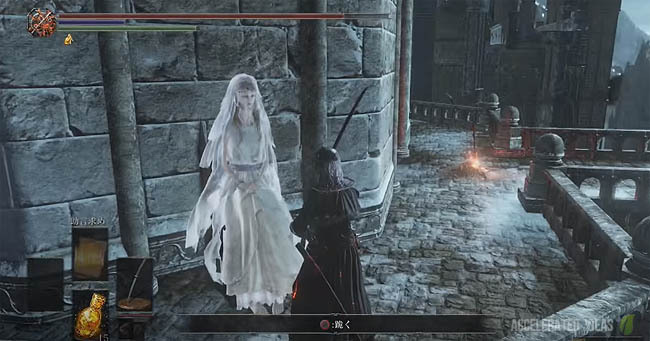 Starting from the High Wall of Lothric bonfire head down the stairs to the lower level outside. Head straight past the people praying and down another set of stairs at the end and through the archway. Drop down through the square hole and into the cell. Head through the cell, turn left and head back outside again. Run past the knights with fire arrows, up the small stairs several times and veer right. Eventually veering right, fight the knight with a sword and shield and enter the building. You will be on an upper level, on top of wooden planks. Drop down and head through the door on the right and outside again. Continue straight and you will eventually get to the rooftops area. Go straight ish (slightly right) to the wooden corner platform. Drop down several levels until you reach the lowest level and a burning fire. From here follow the route, staying close to the right. Eventually you will see two knights with red shawls on your left. Sprint past these knights and through the large double doors and inside. The room is decorate with a long red carpet leading to an NPC on a throne. Interact with the lady and eventually you will earn the Covenant item and the following trophy/achievement: Covenant Way of the Blue. Blue Sentinels will be summoned into the world of those who are part of Way of the Blue, to help them fight off invaders. You are therefore like a protector helping less skilled players in the Way of the Blue Covenant. Probably the easiest Covenant to join. Start from the Halfway Fortress at the Road of Sacrifices, look to your left for the two NPCS. Talk to the one on the rubble (Anri) and then talk to the one standing up (Horace) - after a brief dialogue you will join the Blue Sentinels and earn the trophy/achievement. Rank 1: Turn in 10 Proof of a Concord Kept for the Darkmoon Ring reward. Rank 2: Turn in 30 Proof of a Concord Kept for the Darkmoon Blade reward. This Covenant behaves in a similar way to the Blue Sentinels i.e. helping other players from invasions. Before attempting to join this Covenant you should have acquired the Darkmoon Loyalty gesture from Sirris of the Sunless Realm. See the Gestures guide for more information. Starting from the Anor Londo bonfire in the Irthyll of the Boreal Valley area, backtrack away from the huge building and towards the circular platform. Use the switch on the rotating platform and then head down the spiralling stairs. Follow the path to the end, which appears to be a dead end and a huge drop to your death. However, there is an invisible path here that you can walk on (using faith alone!). First walk straight until you are perpendicular to the next platform. Then turn right and drop down to the solid floor. There is a bonfire here so light it whilst you can. Venture round the left of the outside of the building and ghostly figure is here. Use the Darkmoon gesture to join, or alternatively kill Company Captain Yorshka and grab the item. If you choose to kill her then she will be absent until NG+ and you won't get rewards.